Dlodlo launches computer laboratory at Chabane's school - SABC News - Breaking news, special reports, world, business, sport coverage of all South African current events. Africa's news leader. Minister Ayanda Dlodlo was opening a computer laboratory at the school outside Malamulele. 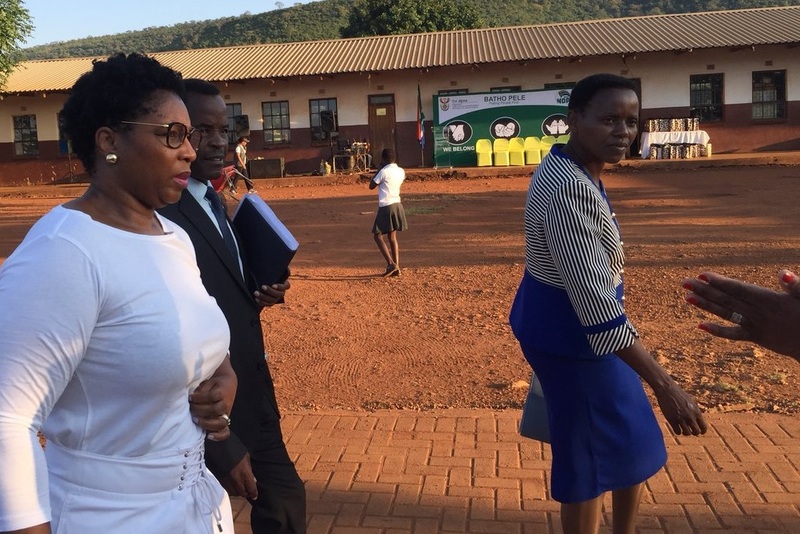 Public Service and Administration Minister Ayanda Dlodlo says Mayeke Higher Primary School in Xikundu outside Malamulele in Limpopo has historic value to the family of the late Minister Collins Chabane. Minister Dlodlo was opening a computer laboratory at the school outside Malamulele. The school was adopted by the late minister in 2014. Chabane died in a car crash three years ago. With the enrollment of just over 500 learners from Grade R to 7, the school in Xikundu is a few meters from Chabane’s home. He adopted the school in 2014. It was through his initiative that the school received donation of computers and internet connection from the mobile cell phone company – MTN in 2015. The learners at the school have expressed happiness about the computer laboratory. The Ettian Chabane multi-media centre has 22 computers. The learners say it will improve learning and teaching. MEC for Education in the province, Ishmael Kgetjepe, says schools must use funds for norms and standard to look after their facilities, including the computer lab. Meanwhile, MEC for Health Phophi Ramathuba has also launched the school health programme at Mayeke Higher Primary school. Learners rendered an item to honour the late Minister Chabane. This entry was posted on 15 Apr 2019,03:20PM at 3:20 PM and is filed under Sci-tech. You can follow any responses to this entry through the RSS 2.0 feed. Both comments and pings are currently closed.